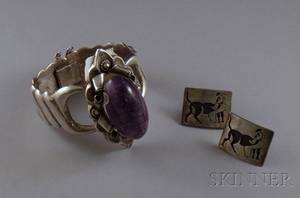 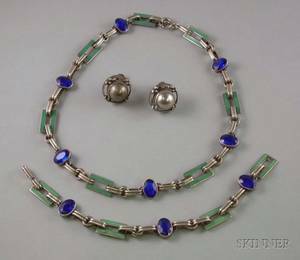 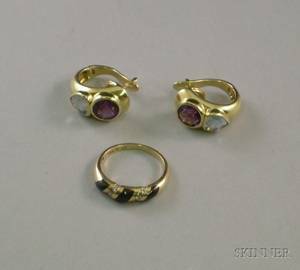 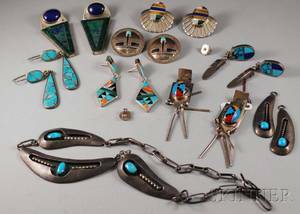 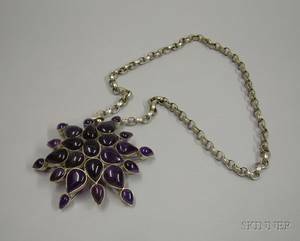 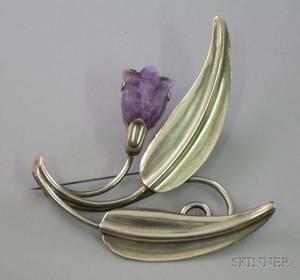 Pair of Emma Melendez Taxco Sterling Silver Earrings and a Mexican Silver and Purple Quartz Bracelet, the latter unmarked. 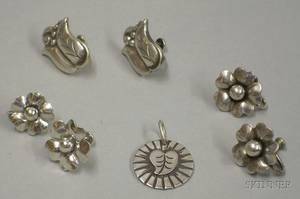 Three Pairs of LaPaglia for Georg Jensen USA Sterling Silver Earrings and a Georg Jensen USA Sterling Silver Pendant. 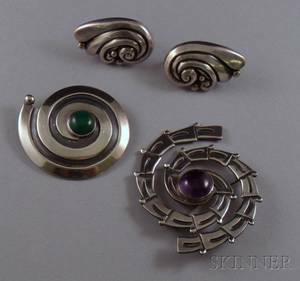 Two Pairs of Angela Cummings Sterling Silver Earrings and a Mignon Faget Sterling Silver Shell-form Pendant. 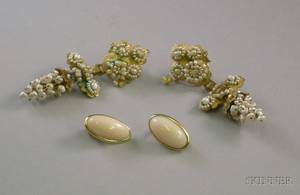 Pair of 14kt Gold Seed Pearl Grapes Earrings and a Pair of 18kt Gold and Coral Earrings.